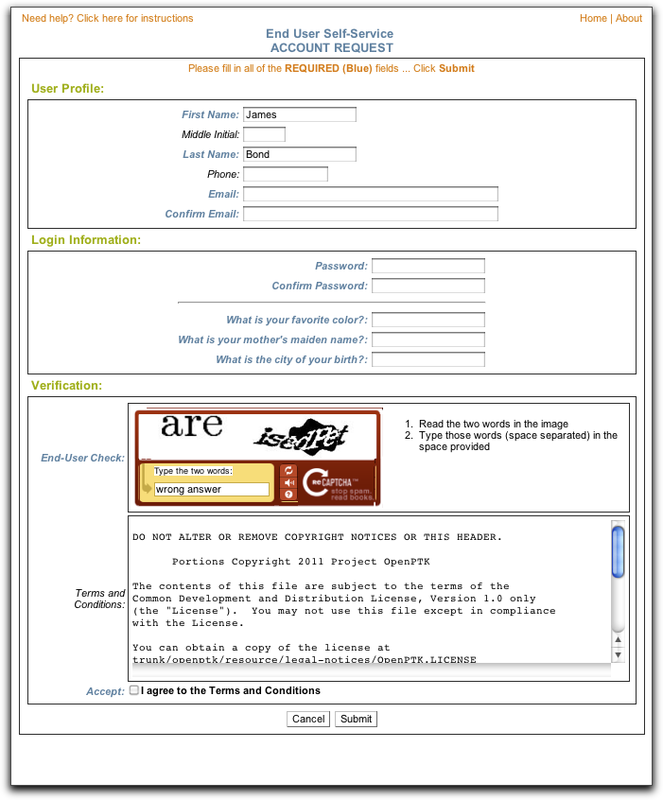 The captcha sample interfaces leverages the reCAPTCHA service. Refer to the Using reCAPTCHA with Java/JSP guide for details on how the reCAPTCHA service is being used. To successfully deploy this sample application, you MUST edit the data.jsp and create.jsp file and update them with correct PUBLIC and PRIVATE keys that your organization has obtained from the reCAPTCHA service.